This certificate is to support vendor's clain for a credit or payment under Section 6416(a)(4) of the Internal Revenue Code. For the exclusive use of a State, or a political subdivision of a State, or the District of Columbia. For the exclusive use of a nonprofit educational organization. Buyer will provide a new certificate to the seller if any information in this certificate changes. 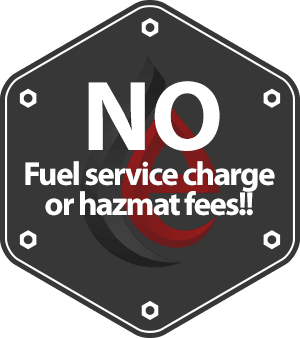 If Buyer uses the fuel to which this certificate relates for a purpose other than stated in the certificate, Buyer will be liable for the tax. Buyer understands that by signing this certificate, Buyer gives up its right to claim any credit or payment for fuel purchases to which it relates and acknowledges that the Buyer will not claim any credit or payment for the fuel purchases to which it relates. Buyer understands that the fraudulent use of this certificate may subject buyer and all parties making such fraudulent use of this certificate to a fine or imprisonment, or both, together with the costs of prosecution. For information, call (419) 499-1120, ext 19.